Best sound quality, highest longevity, combined with an unique function, create the bridge. 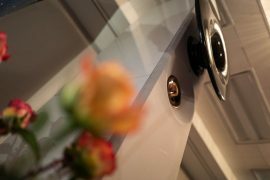 ACAPELLA products are unique combinations of design, function and engineering. Acapella Audio Arts is a German company that has been in business for over 40 years. Each loudspeaker is hand built to order, custom-crafted by just a few artisans. 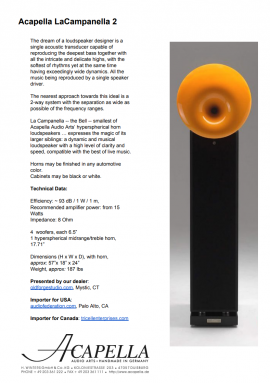 The company was the first to use spherical horns in their loudspeaker design. Their newer hyperspherical horn shape provides better integration and easier room placement. Acapella’s sound is smooth, musical and engaging. It is dynamic and exciting. It is not irritating. It is not overly aggressive in the bass, midrange, upper midrange or treble. These things distinguish these speakers as being a ‘cut above’ your typical state-of-the-art loudspeaker. By integrating the most advanced loudspeaker technologies known today, applying each to the job that it is best at, into one amazingly seamless whole Acapella has arrived at an optimal solution to the problem of music reproduction. The ion tweeter is a massless, diaphragm-less approach to reproducing the audio frequencies between 5kHz – 50kHz. What finishes and colors do Acapella speakers come in? The horns can come in any color that can be found as a high-quality paint. The colors usually used are the colors of Mercedes cars (blue, green, red, and white). The speaker enclosures (boxes) are a layer of very high quality acrylic (black or white). They also make fine cables: the LaMusika speaker cables, interconnects, and power cords. They also make Fondato Silenzio isolation platforms. They are also now shipping the LaMusika integrated amplifier. What Do It Yourself performance-improving modifications can be done to the Campanile and other Acapella speakers? The tweeter power cord (European) connector on the back on the tweeter unit can be replaced with a standard, North American IEC connector so that 3rd-party audiophile-quality power cords can be used to power the tweeters. The IEC is a drop in fit and so no modifications to the tweeter chassis is required. The original connector is connected to a common line filter that can be removed and replaced with an audiophile-quality, out-board line filter. 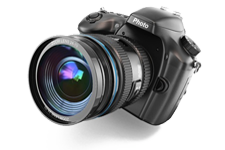 [This modification is somewhat controversial. Acapella now makes audiophile-quality power cords for the tweeter, requiring no modifications by the owner]. Spikes can be put underneath the speakers. Lovan spikes have been used to good effect by Tapsa (TL-Audio). Damping ‘isolation’ platforms can be put underneath the speakers (for example the Acapella Fondato Silenzio bases) [though Hermann Winters at Acapella suggests that this be done only after all other equipment has been adequately isolated]. What are these weird tweeters, anyway? The ION Tweeter (often called a plasma tweeter) is unique in that it produces sound by modulating an electric spark. Because it has zero mass, there is no delay between the signal from the amplifier and the sound coming out of the tweeter. The rise and fall of each note is reproduced much more smoothly and accurately than that achieved by any other known technology. This technology also allows this tweeter to reproduce sounds at much higher frequencies than most other tweeters (5K Hz to 50K Hz). Because of the nature of full-spectrum harmonics, this fleshing out of the upper frequencies helps smooth and enrich the lower frequencies as well. Each tweeter is packaged as a self-contained metal, ventilated chassis weighing about 30lbs with an opening in the front (for the sound to come out of) and connectors and adjusters on the back. The chassis contains a tube amplifier/oscillator (containing Siemens PL519 tubes) in addition to the ion chamber that generates the sound. The rear connectors consist of one standard female RCA input connector and one European connector for the power cord. This chassis fits (slides) inside most of the Acapella speakers. 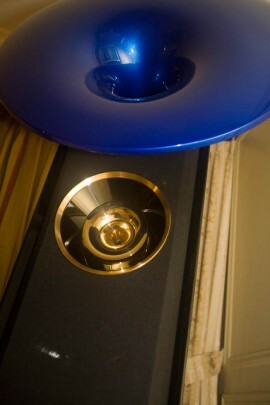 It can also be placed on top or beside any other speaker to enhance the speaker’s capabilities in the upper registers. The tweeter uses a quartz rod when generating sonic sparks, and over the course of 10 years or so of normal use, they should be replaced (for a nominal cost from your dealer or Acapella). Pentlabs has replacement PL519’s for the tweeters but of EI (Yugoslavian) manufacture. A replacement-parts kit is available containing 4 tubes and 2 quarts rods. Can the tweeters be bought separately? How long do the speakers take to break in? The tweeters take little or no time to break in (they sound great right out of the box). The mid-range takes about a minimum of 14 full-days and continues improving for the next 2 – 3 months. The bass module takes about 4 – 6 weeks to start loosening-up and also continues improving for the next 3 – 4 months. What amplifiers are people using with the speakers (Violins, Campaniles, Atlas, ViolonCello and Triolon)? Typically the Acapella speakers get easier to drive as they get larger [and more expensive]. 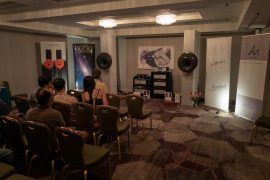 Acapella has shown with the 65 watt Einstein OTL tube amplifier on the Violon and Atlas speakers at many shows and they like to play them loud. Their LaMusika amplifier is about 600 watts solid-state. 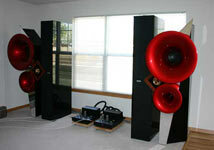 We have driven them with everything from an 18 watt 300B Audio Note Kegon amp on up. How are people positioning the speakers? Tapsa (TL-Audio) puts the speakers against the long wall in a 6 x 6.7 meters room, 3.5 meters from the inside of one speaker to the inside of the other, 1.25 meters from the front of the speakers to the rear walls, and 4.5 meters to the listeners ears. Here at AudioFederation we put the speakers along the short wall in a 15x35x24 feet tall room, 8 feet from the inside of one speaker to the inside of the other, 5’4″ from the front of the speakers to the rear (beveled) walls, and 14.5 feet to the listeners ears. [Update: Jan 2003 – We moved the speakers about 14 inches farther into the room, and angled them so they are only angled in about 5 – 10 degrees. Much better soundstaging and imaging and bass response is somewhat tighter]. Hermann Winters. co-founder Acapella Audio Arts suggested [as reported by Fred Crowder of Epic Audio] that the location of the speakers in the room is essentially determined by the room’s nodes and that there was no one place that worked in every instance. In a long room he preferred the speakers along the long wall closer to the wall. I got the impression that he generally preferred the speakers closer to the back wall rather than out into the room. He seems lately to want to point the speakers at the sweet spot however we like pointing them closer to straight ahead for a less dynamic, but more even presentation. Obviously, placement is flexible and you can get good results that suit your preferences.